If he’s going through a ’shark’ phase (and let’s be honest, what boy isn’t?) this t-shirt should be snapped up straight away. 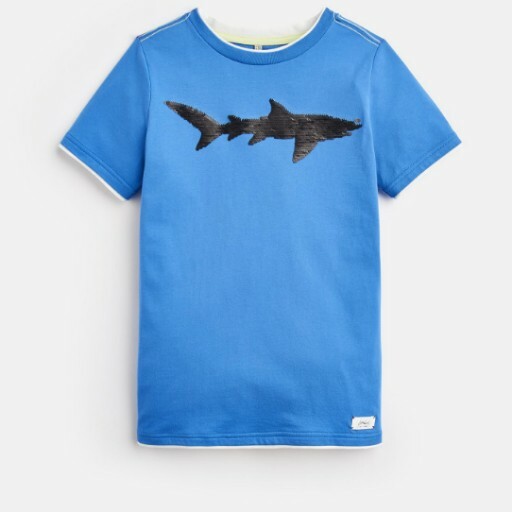 Crafted from soft yet sturdy cotton and emblazoned with a stunning two-way sequin shark. Brush your hand over them to change the colour.